The cart is designed to stabilize the Suspension seat when transferring the handicapped from his wheelchair. The stabilizer cart is also intended to convey the disabled in all places around the pool. 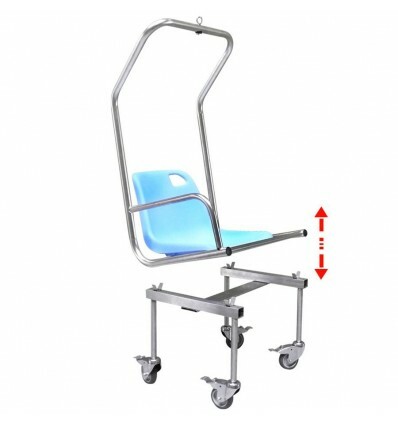 Stabilization Cart - Comfort and Safety During Transfer Between Wheelchair and Suspended Seat. To facilitate the transfer between a wheelchair and the suspended seat of the Archimede range, the Stabilization Cart is an ideal solution. 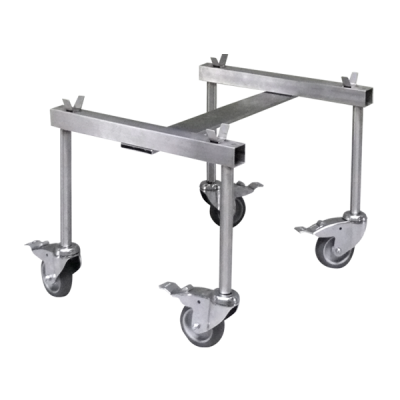 The Cart, equipped with wheels with individual brakes, is designed to accompany the Archimede Suspension Seat. 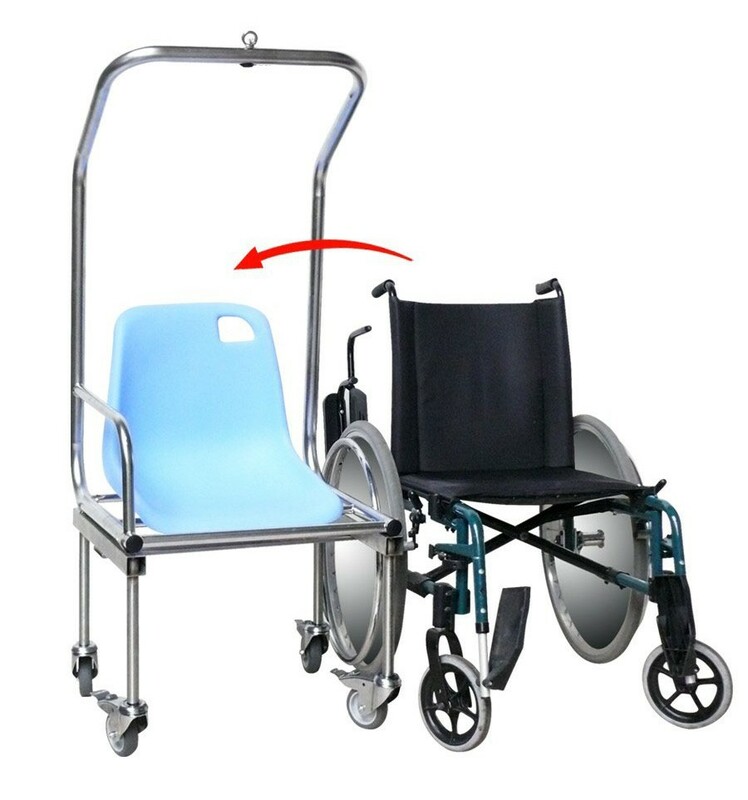 The trolley is used to stabilize the transfer of a disabled person and then transport the person sitting in the Suspended Seat around the pool. The Chariot also makes it easy to find the right place to attach the seat to one of the lifts in the Archimede range being manual, hydraulic or motorized battery. The structure is made of electropolished stainless steel to resist the aquatic environment. The 4 wheels, diameter 120 mm, are made of polyurethane and rubber for a stabile and comfortable transport. 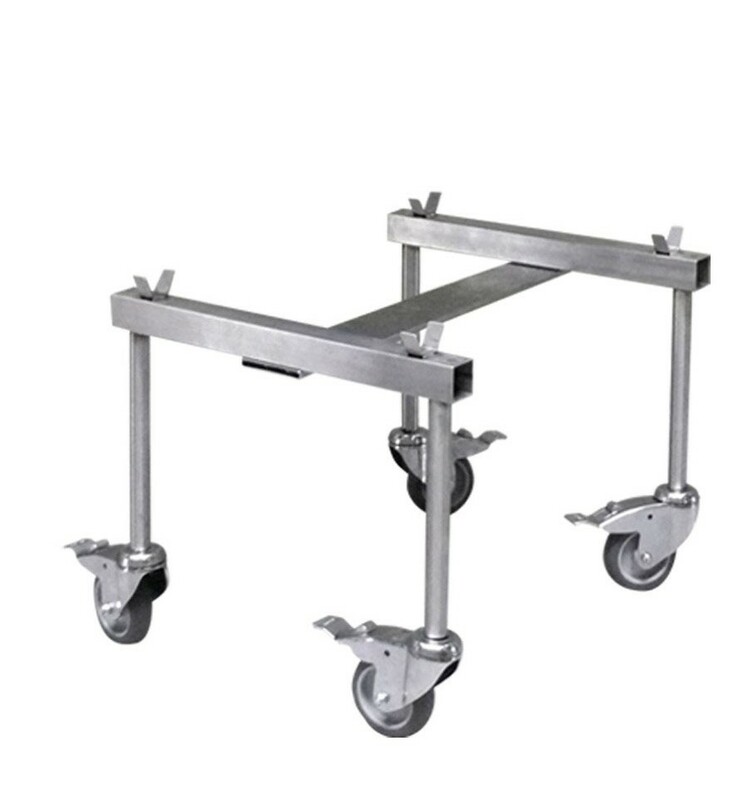 The wheels are designed for flat ground without important thresholds. 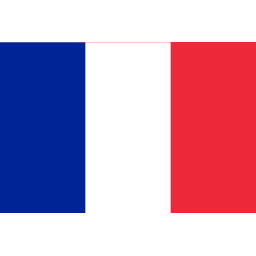 Each wheel is equipped with a brake blocking movement and rotating position.